THESE TRUCK ARE HARD TO KILL!!!! Any Toyota you run across has a stellar reputation to outlast the competition by far!!! Don''''t miss out on this opportunity to own one for yourself, rush in today!! !Heritage Motors is located in Arizona the home of cactus jack rabbits, and dry heat. Come in and let us work our magic auto sales for you to get the best auto deals possible, and Drive Now. Its Drive time lets get you into a premier auto for you and your family, and take auto action now!!! We cover all of AZ from Tucson to Flagstaff, Yuma to show low, Maricopa to globe, Phoenix to Sierra vista, Come see why we are the best in the business!!! 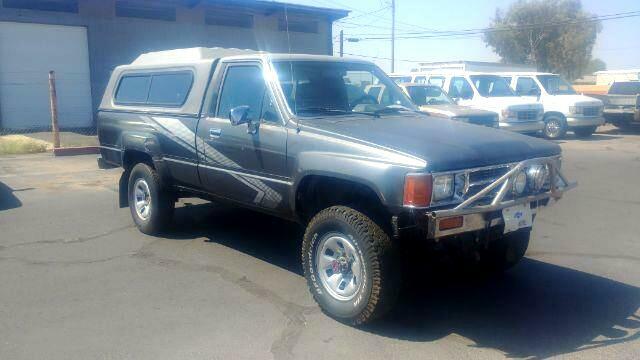 Message: Thought you might be interested in this 1988 Toyota Pickup.